Bay City. Photos by Phil Eich. When Leon Trombley built his log cabin on the banks of the Saginaw River in 1831, becoming the first Bay County settler, he probably wasn’t aware his impact would still be felt 187 years later. His pioneering spirit is still the spirit of Bay City, where people are looking to grow deep roots into a place they can call home while still being willing to take risks, move forward, and work hard to create a stronger future. Now more than ever, the people of Bay County want to feel connected to their community while looking to invest in and engage with the place where they live. 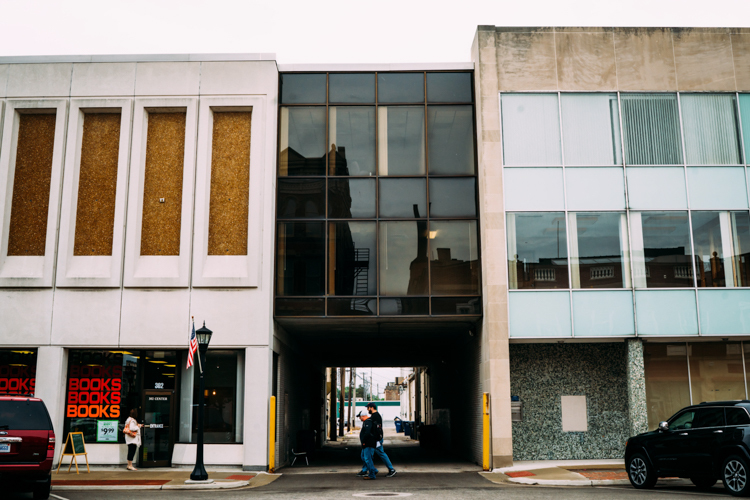 According to Dana Muscott, Bay City’s City Manager, that place is heading in the right direction by embracing both a love of its history and a willingness to evolve and adapt. One of the temptations in embracing change is to disregard history, but the drive to create and invest is deeply rooted in Bay City’s DNA. While Saginaw established the first official settlement in this area in 1819, pioneers found the area that would become Bay City more suitable for shipping because of its deeper waters. By 1860, Bay City was a community of 2,000 people with many thriving sawmills and other small businesses. The economy rapidly grew during this time period while the lumber, milling, and shipbuilding industries capitalized on the ability to easily ship goods on the Saginaw River. Early industrialists amassed large fortunes and built mansions along Center Avenue, many of which are registered historical landmarks. Businesses and homes expanded down Water Street and Washington Avenue, and 1891, Walter Fitzhugh sold a plot of land to be used for the creation of City Hall. The lumber and shipbuilding industries have long since left Bay City, and Muscott believes there is a current need to reconnect with that part of history by trying to attract more industrial manufacturing to the area. That “looking back to find the way forward” is something she sees happening in both redevelopments and brand new construction projects. Walking around downtown Bay City, you can feel this meeting of history and development in action. 130-year-old buildings stand next to contemporary women’s boutiques, art galleries, and modern restaurants. Businesses operating since the 1800s are surrounded by startups and other new ventures. Historic locations are being developed in a way that preserves their history, while new developments are being constructed with the goal of connecting even more people with the culture of Bay County. 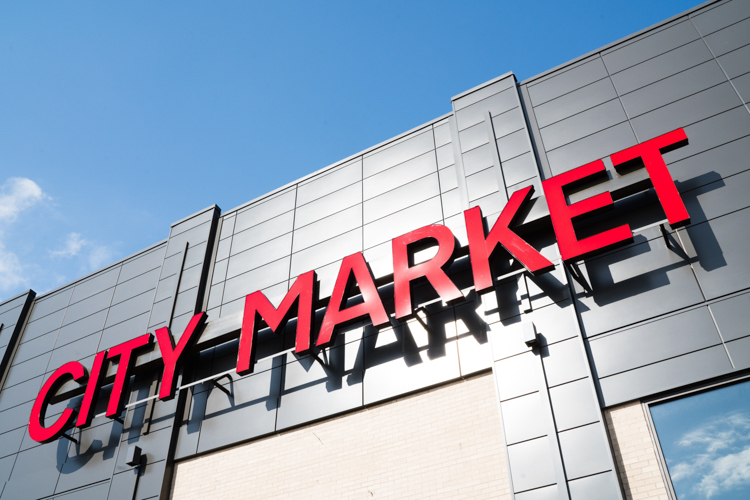 One of those new development projects is Uptown Bay City. After Bay Aggregates, a concrete supply plant moved from their riverfront site to Bangor Township, the city bought the site for $2.2 million and entertained a variety of different ideas about what the land should be used for: everything from a casino to a baseball stadium to a maritime museum. After demolishing the Industrial Brownhoist buildings and receiving over $1.5 million dollars from the EPA to clean up the site, Shaheen Development, a local family-owned company that’s been operating for over 50 years, officially acquired the property in 2014. Subscribe to Route Bay City. Today, this 43-acre waterfront development is home to Fortune 500 companies like Dow, small, locally owned businesses like Infinity Bridal, Omoni Boutique, and Uptown Grill, and residential opportunities in the form of condominiums and apartments. Currently being constructed is an $8.6 million, three-story mixed-use building featuring 19,000 square feet of commercial space on the first floor, and apartments on floors two and three. Vice President Peter Shaheen says that it wasn’t difficult for his company to decide to invest in Bay City. Muscott says that Uptown also adds significant value Bay City with its residential housing, causing people to take notice of what the area can offer. One of the challenges for Uptown being a brand new district is creating the feeling of oneness with the rest of the city. 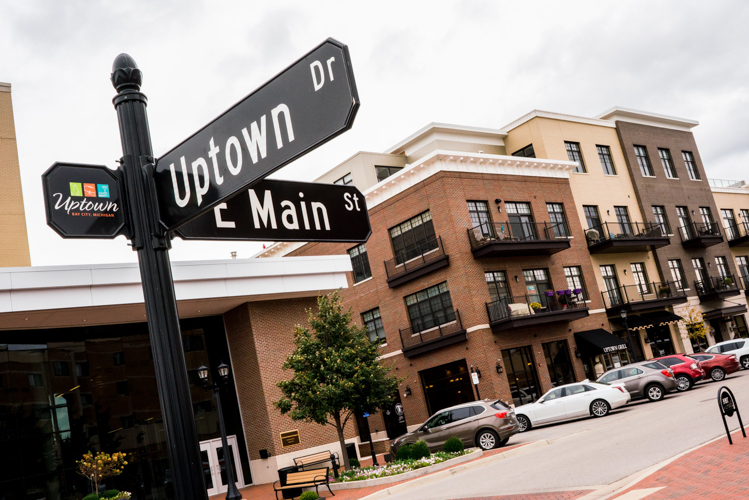 There are more than 10 distinct business districts in and around the city limits, most of which feel disconnected; Shaheen says the second phase of the Uptown development will integrate Uptown with the areas surrounding it. Through additional infrastructure, development lots, and mixed-use buildings functioning in both residential and commercial capacities, Shaheen’s goal is to connect Uptown and the Saginaw Riverfront to things happening in the city in a pedestrian-friendly way. So what does Bay City need to do to move forward in a way that honors its past while improving its future? Launching on Thursday, November 8th, the mission of Route Bay City is to tell those stories. Like Flintside, Route Bay City is part of Issue Media Group, a nationwide chain of online publications. Like Uptown connecting with Downtown while still creating its own identity, Route Bay City will seek connect the rich history of “old” Bay City with the investment, innovation, and efforts being done to attract talent in the “new” Bay City. A weekly publication supported by a Bay County Coalition Partnership, the community-based publication will feature the work of local and regional writers, journalists, and photographers, engaging both local and out-of-town readers in the evolving culture of the Bay County. Join us in the telling of these stories on November 8th by subscribing to our newsletter.